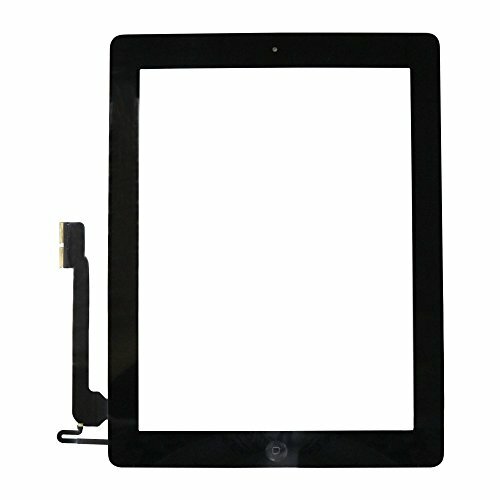 This Black Touch Screen Digitizer replacement part for the Apple iPad 4nd generation includes the home button, home button flex cable, camera holder and pre-installed adhesive. All parts come pre-assembled as shown. winzone's A+ parts, combine an original LCD with high quality glass from an alternative source. Due to supply issues these parts are often the highest quality level which is available in the marketplace several months after release. Special Gift: Every order will receive 1 FREE microfiber cloth! iPad 4 Black Touch Screen Digitizer Assembled. winzone has a 30-day return policy so you can feel comfortable with your purchase! If you have any questions about this product by WINZONE, contact us by completing and submitting the form below. If you are looking for a specif part number, please include it with your message.